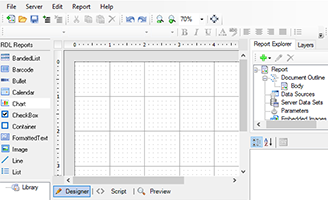 The fully-integrated VSDesigner Add-In includes a toolbox and properties window, providing a familiar, comfortable report design experience in the most popular IDE. 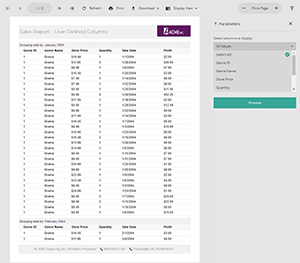 This standalone app enables you to build complete design-based reports code-free and offer ad-hoc report design for your end-users on desktop or web. The Visual Studio-based designer includes full integration into the best .NET IDE. 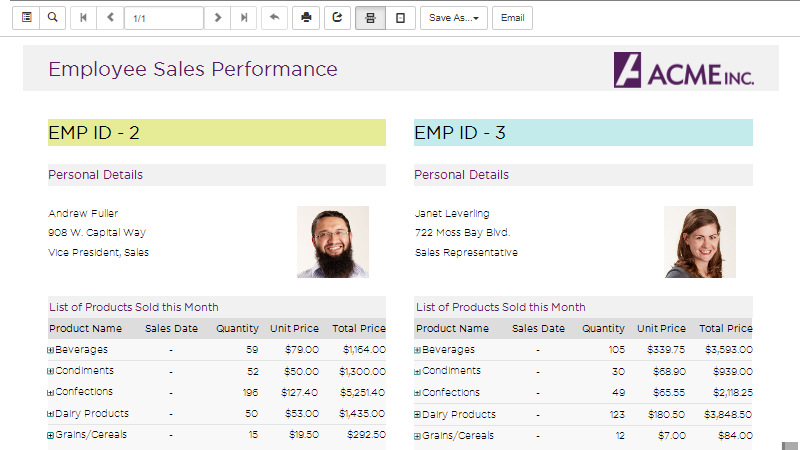 With the ProDesigner for Web embeddable control, end users can open existing reports in a design view, manipulate the layout, create new reports, and preview them. We've overhauled our charts! 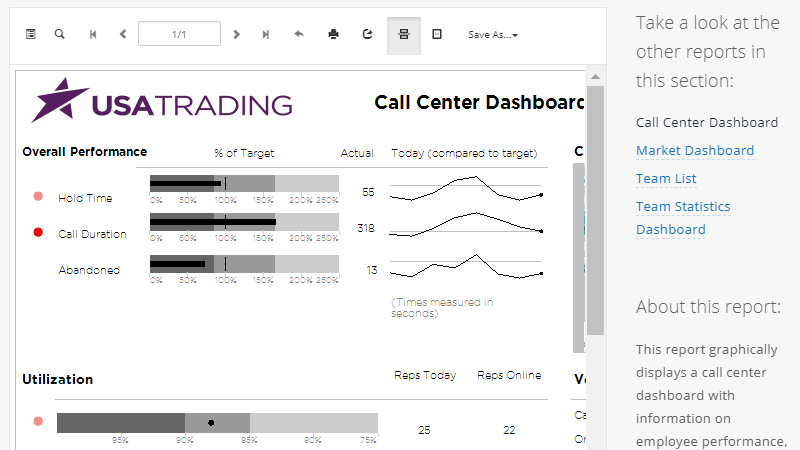 Especially built for reports on the web, the new charts offer interactivity, improved performance, and enhanced chart types. 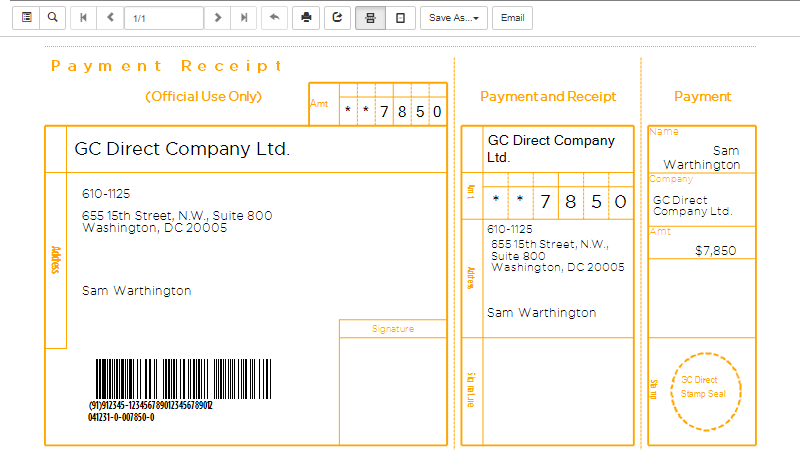 The enhanced FormattedText control to support many more HTML tags, and users can also see the rendered text in the control at design time to ensure a WYSIWYG result. Supported tags and attributes include table, td, th, tr, and mapping attributes to CSS properties. 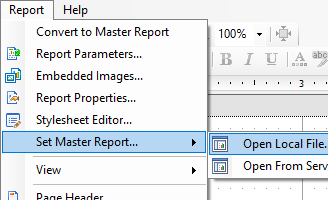 The enhanced the Report Converter includes conversion to the Page Reports, a sister-report-type of the RDL Reports. 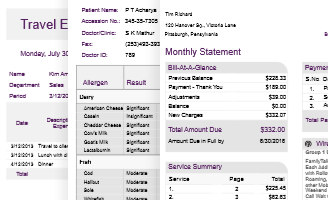 Page Reports are great for highly structured reports such as invoices, official or government forms, diplomas and templates, etc. 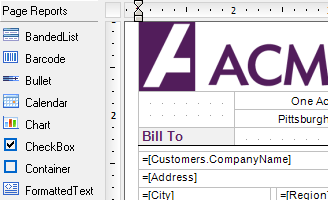 ActiveReports' VSDesigner Add-In now includes a Visual Studio theme that has been extended to the ActiveReports designer and its supporting windows. This not only provides a nice UI change for the designer, but also includes new icons for the updated UI. I really like the code behind event driven model and how flexible it is for unique reporting requirements. 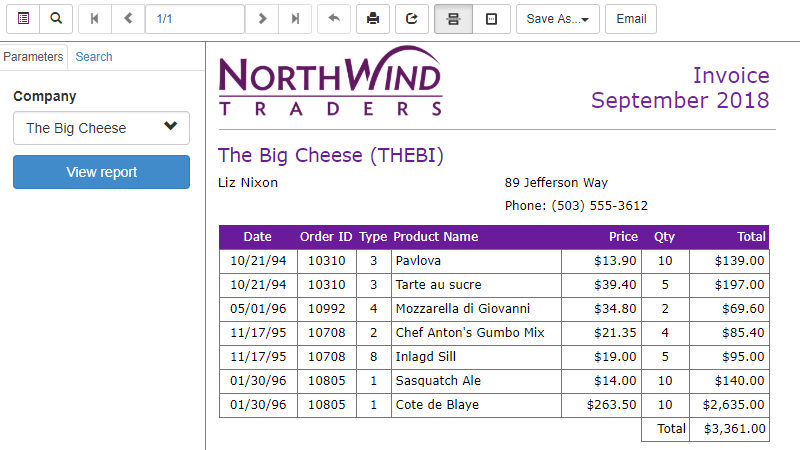 By using ActiveReports we were able to fully integrate the project within our existing .NET environment. The uniqueness of the ActiveReports products have helped to boost our sales which is always a good thing. SOOOOOOOOOOOOOOO much easier and nicer looking reports than if I was trying to code them manually or using some POC. We chose ActiveReports due to its full feature set, friendly licensing model for web-based applications, and ease of development. The only way to get a more powerful reporting experience is to write pure GDI+ code. Fantastic. I appreciate all that GrapeCity has done to maintain and extend ActiveReports, and look forward to many years of continuous use of ActiveReports. These products have the most complete feature set, the most flexibility, and they are very user friendly and developer friendly. 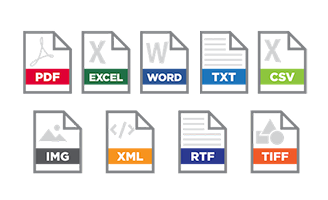 We find the ActiveReports designer provides the tools to produce rich and graphically pleasing reports very quickly. 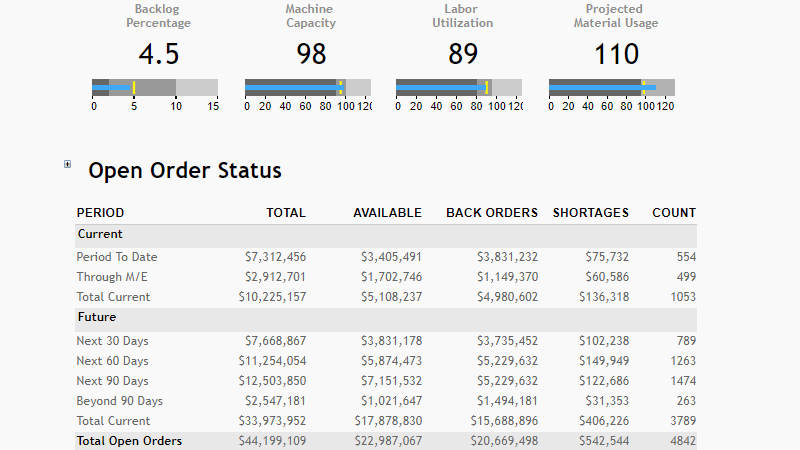 We liked the end user reporting which allows the end users to customize the reports in their layout because every team in our organization likes to display their reports a little differently. 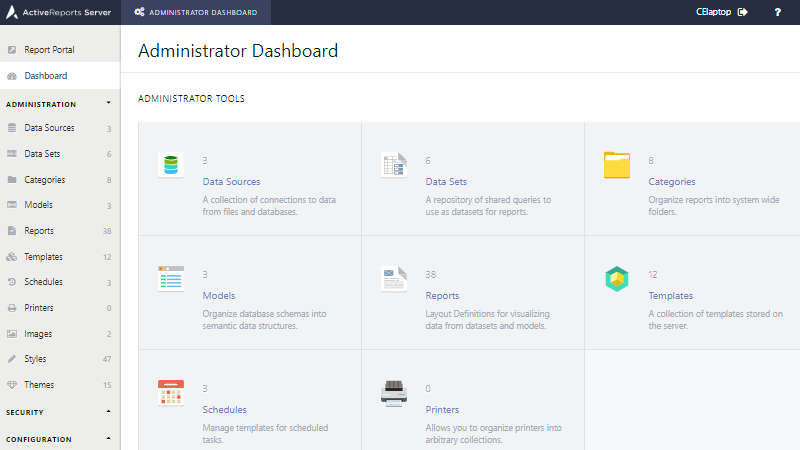 I cannot imagine developing reliable, robust, business applications without ActiveReports! We will continue to use ActiveReports whenever we need reporting in our solutions. It has been a big time and money saver. Ease-of-use and the ability to have multi-level subreports were the two main considerations. 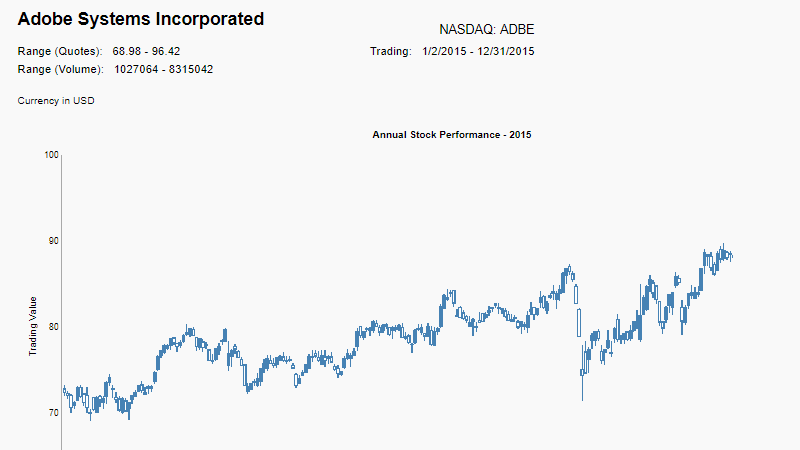 ActiveReports stood head and shoulders above the other three products. I would not have been able to create this application without ActiveReports. 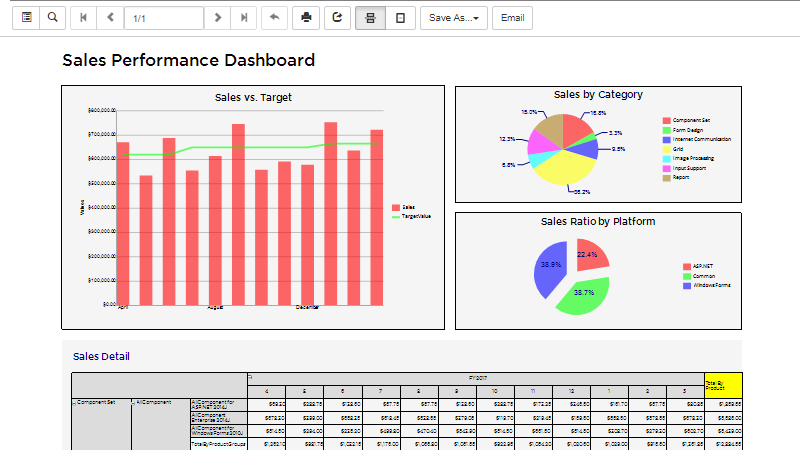 I have found that ActiveReports is very easy to use, performs well for me and gives me all the features that I need. There was no way to dynamically author the content of the report with Crystal Reports. With ActiveReports, this was easy to do. 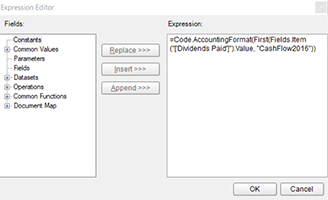 ActiveReports works much better, doesn't require COM, and being able to do code behind gives me much more flexibility.